McALLEN — The FBI is searching for victims of a Rio Grande Valley doctor who was indicted on charges of health care fraud on Monday. Jorge Zamora-Quezada, a 61-year old rheumatologist with offices in Edinburg, Brownsville and San Antonio, was charged in a seven-count indictment for his role in a $240 million health care fraud and international money laundering scheme, according to a news release issued by the U.S. Attorney’s Office Monday. Zamora-Quezada, a Mission resident, is alleged to have defrauded health insurers including Medicare, Medicaid, TRICARE and Blue Cross Blue Shield by billing for unnecessary treatments for patients based off of false diagnoses. “We know that Dr. Zamora-Quezada saw as many as 10,000 patients a year during those years so potential victims could be in the thousands,” said Stephen Kam, assistant special agent in charge at the McAllen Resident Agency office. 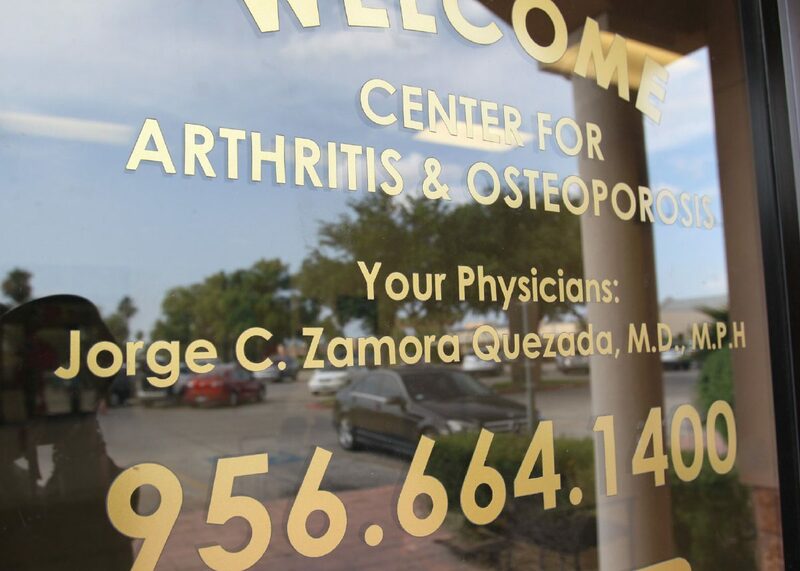 His primary practice is in Edinburg, located at 2601 Cornerstone Blvd. and he previously worked out of an office in Brownsville, located at 451 E. Alton Gloor Blvd. He also has a practice in San Antonio, located at 8122 Datapoint Dr. which was previously located at 7838 Barlite Blvd. “Because of our location and the fact that people from Mexico come up here for medical treatment, and we have a large Winter Texan population that may have visited from other areas that might have seen Dr. Zamora-Quezada, it could be throughout the United States and Mexico but primarily from Texas,” Kam said. They’ve been able to identify victims as young as 12 while the oldest victims could be in their 80s, Kam said. “We’re only looking to identify these people to provide them the victim’s services that they’re entitled to under the law and to let them know that they could have adverse health effects,” Kam said. He assured that people who are undocumented will not face negative consequences by coming forward. Patients of his between January 2000 and May 2018, are urged to contact the FBI through the victim’s hotline at 1-833-432-4873; choose Option 8. Among the charges he is facing is one count of conspiracy to commit health care fraud, five counts of health care fraud, and one count of conspiracy to commit money laundering, according to the indictment unsealed Monday. It is believed he falsely diagnosed patients with rheumatoid arthritis and other degenerative diseases and the patients were then prescribed drugs, including chemotherapy, for treatment. He and his conspirators are charged with funneling money made from the scheme to bank accounts used to conduct further transactions in the United States and Mexico which they believe was laundered through a Casa de Cambio located in McAllen. They allegedly also tried to conceal the source of those funds by investing in commercial and residential real estate throughout the U.S. and Mexico. Among the properties were two luxury penthouse apartments in Puerto Vallarta, Mexico; a condominium in Aspen, Col.; a condominium in San Diego, Cal. ; and one in Punta Mita, Mexico. They also used the funds to purchase exotic cars and a private jet. “Jorge Zamora-Quezada allegedly orchestrated a massive fraud scheme that jeopardized the health and wellbeing of innocent children, elderly, and disabled victims,” John Cronan, Acting Assistant Attorney General of the Justice Department’s Criminal Division stated in a news release.